Behold the story of their destiny. Or worse, the jailers at their prison door. This is the cause for anguish, this the shame! 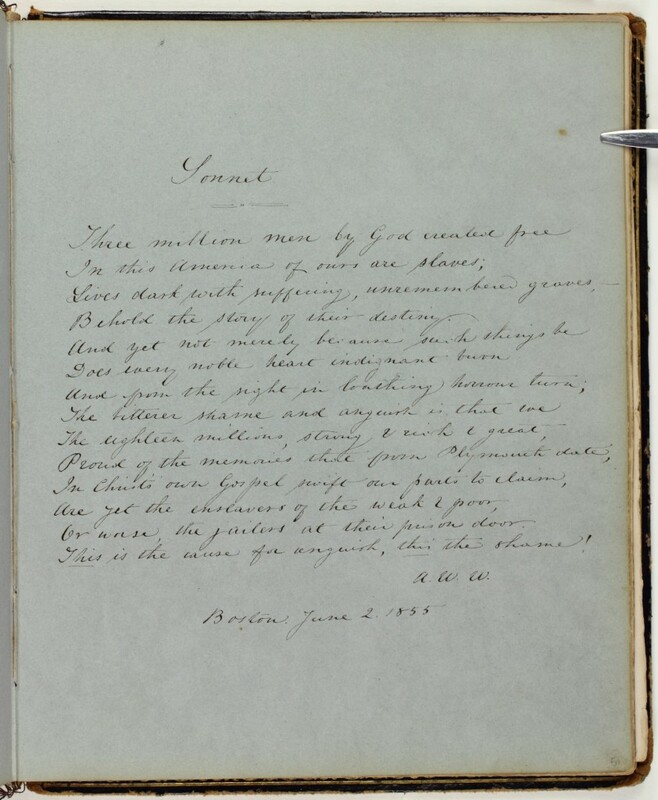 This entry, a sonnet written by Boston anti-slavery and women’s rights activist and author Anne Warren Weston condemns slavery and its systematic ignorance of fundamental liberties. What makes this sonnet powerful is Weston’s use of 1850 census population numbers to emphasize the gravity of slavery. In her 1838 “Circular to the Abolitionists of Massachusetts,” Weston relies on the same statistical tactics to empower anti-slavery advocates in her home state. References to “Plymouth” and “Christianity” unite the American people by history and religion, while those who turn a blind eye to slavery become America’s “shame” and “cause for anguish.” Weston’s sonnet grounded in fact, religion, and history is one of the more political entries in the Cassey Album. 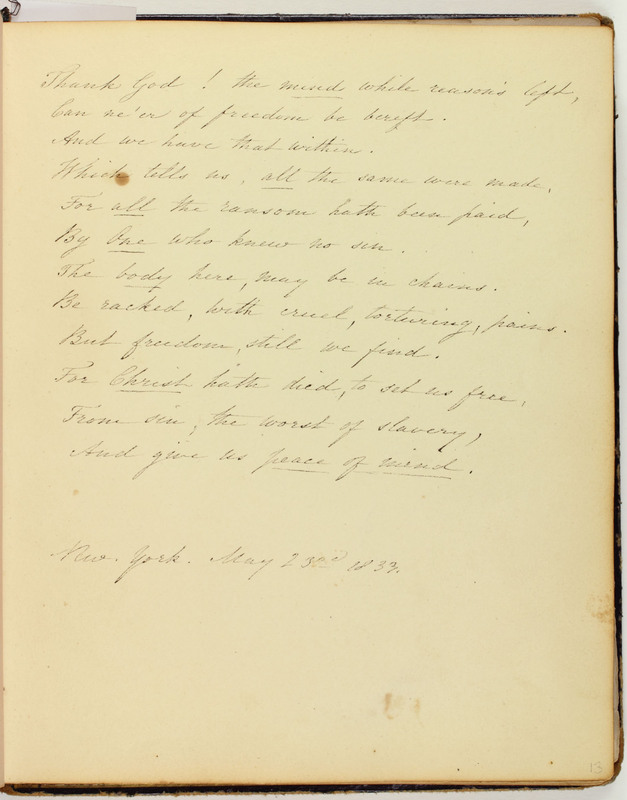 Page 51: Selected from a “Sonnet” printed in Liberty Bell (Boston: Anti-Slavery Bazaar, 1849). It was reprinted in The Liberator, December 29, 1848 issue, which cites Liberty Bell as the source for a section of poetry on page 4.